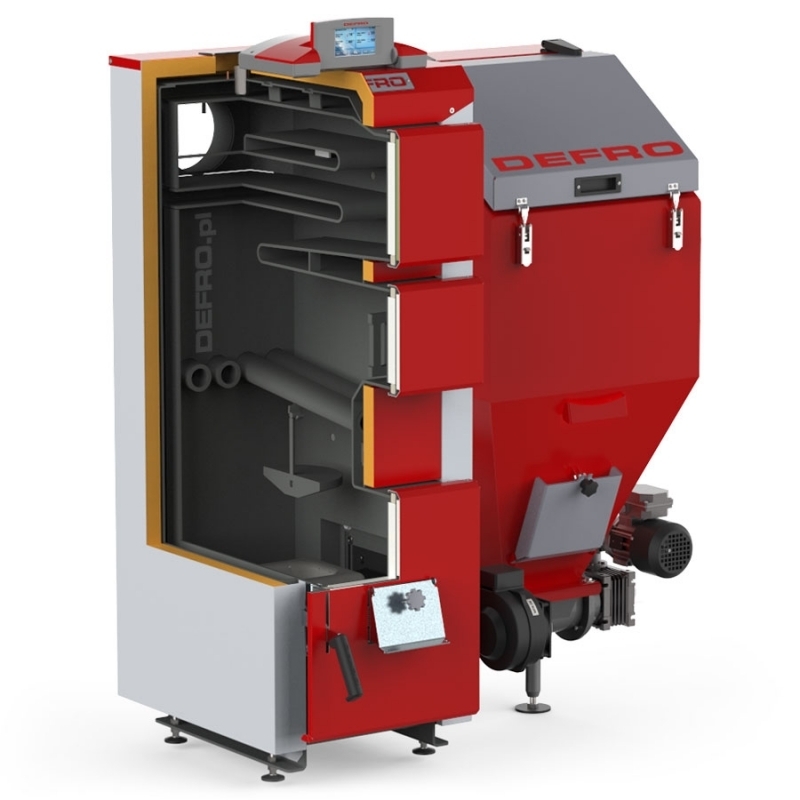 Automatic boiler KOMFORT EKO DUO ensures high servicing comfort with low operation costs. Device is equipped with automatic system feeding fuel to the furnace chamber and highly effective retort furnace. Design of burner nozzle and even better fuel feeding system allows using fuels characterizing with better sinterability. Furnace is made of high quality heat resistant cast iron ensuring great durability. Developed and easy in servicing control system causes that convenience for operation is comparable with boilers fired with solid fuels or gas fuels. KOMFORT EKO DUO PZ boiler is equipped with fixed water-cooled grate allowing using also the equipment in case when supply is not present or periodical combustion of the other fuels. Boiler design allows installation of the additional protection against fuel ignition in the container (extra payable option, installed on request). NOTE! Please specify side of the container (left or right) during ordering of the KOMFORT EKO DUO PZ boiler.